Where can you go to follow her tour? Click the banner above or right here. But let's get started with the interview! 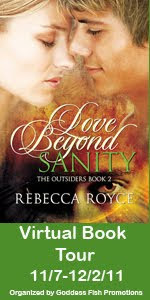 What was your favorite scene to write in Love Beyond Sanity? All of the scenes between Charma and Jason were outstandingly fun to write. But, having said that, there is a scene that takes place between two characters who are meant to be together but don’t know it yet that was really incredible to create. It still stays with me as one of my favorite moments. 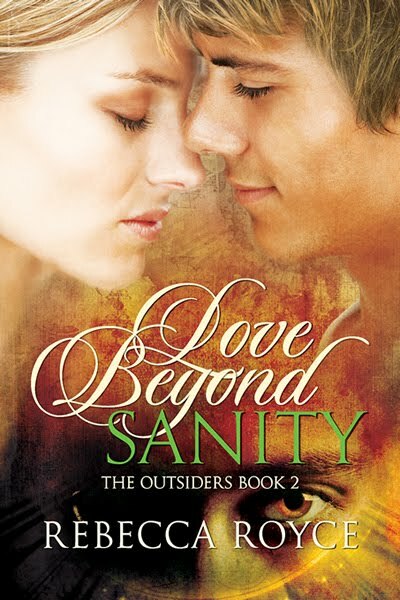 What was the inspiration behind Love Beyond Sanity? I’m not really sure. Unfortunately, I never know where my ideas come from. I went to the Mote Museum in Sarasota, Florida and looked at a Giant Squid that is encased there. That was really fun! The most frustrating part is the time I spend away from writing having to do other things. I really wish I could write all the time when I am not with my kids. The most wonderful part is hearing from readers that they enjoyed the book! He-He. My husband is Southern so I will start with that but then I will also say British. He-He. Readers know an awful lot about me now but something that would still surprise them? I’m five foot ten inches tall. What paranormal creature would you like to see more of? I open up a blank document, double space it, and write the chapter heading. Then I write that chapter until I have reached 13 pages. In my first draft, all my chapters are 13 pages. Right now, I am writing the next Westervelt Wolves book. But I think that I should have several releases upcoming before that one is finished. Probably another Outsider book. The best thing about being a writer is getting to share the stories that inside of my head with all of you. That is such a gift. I think most writers would complain about copy edits and promotion but they are ‘high-brow’ problems, if you will. We’re not really complaining. We don’t like them but they are issues we are happy to have. I write something else. If I cannot make headway with what I am doing than I close the chapter and write another story. I have several published books that came out of that method. I can’t seem to stop. For me, it’s a compulsion. Right now, I am writing the next Westervelt Wolves book. It is Rex’s story. And I expect to have another Outsider book release as well as another Conditioned book. I have so many series going on all at once right now that they are almost exclusively what I am writing. 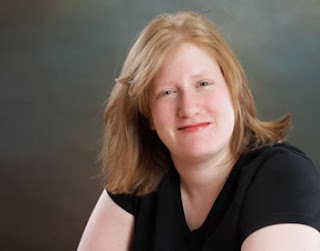 I do love to read and right now I am drawn to Paranormal Romance, Urban Fantasy Books, and Contemporary Suspense Romances. Nothing really bores me as a reader. At night, after the kids have gone to bed, when I can lay around with my husband. Write every day. If you want this to be your job, treat it like a job. People go to their jobs every day. I would love to write Historicals. But I cannot take the research. I’m always afraid I would get something completely wrong. From my current Work In Progress? Well, hmm, I haven’t written the hot stuff yet in that book but I’ll give you a taste of what I do have. The smell of human overindulgence wafted through his nose, making him want to turn on his heel and go out the way he’d gone in. I agree authors should stretch themselves and branch out but it needs to be done properly or they lose credibility...but that's just MHO! Happy Thanksgiving! Enjoyed your interview, it was very interesting. Thanks Rebecca! Never imagined you were so tall! I feel like a shrimp. I get what you're saying about the historicals. I wrote one and I drove myself berserk with research. I totally get it. Thanks for stopping by and Have a Great Holiday! I'd love to see you write Historicals Rebecca, but I do understand about the research. This has been a great blog tour love all the great posts and can't wait to read this book! Thank you so much for the great giveaway!